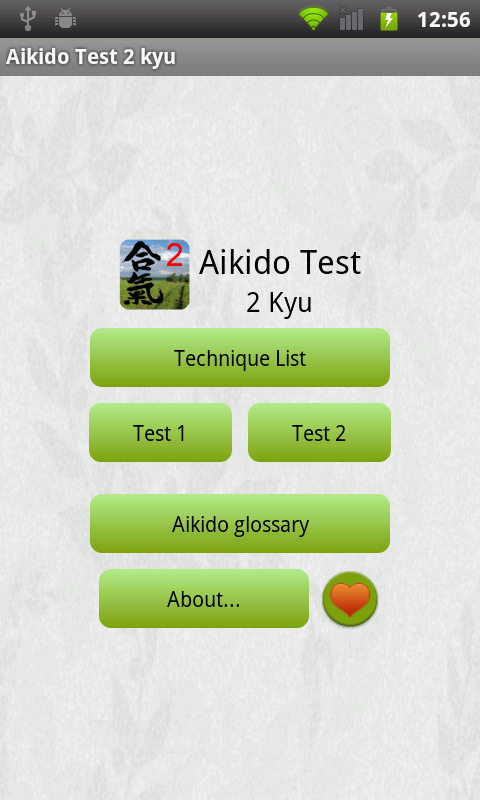 Aikido Test for Android is a mobile application for the study Aikido. 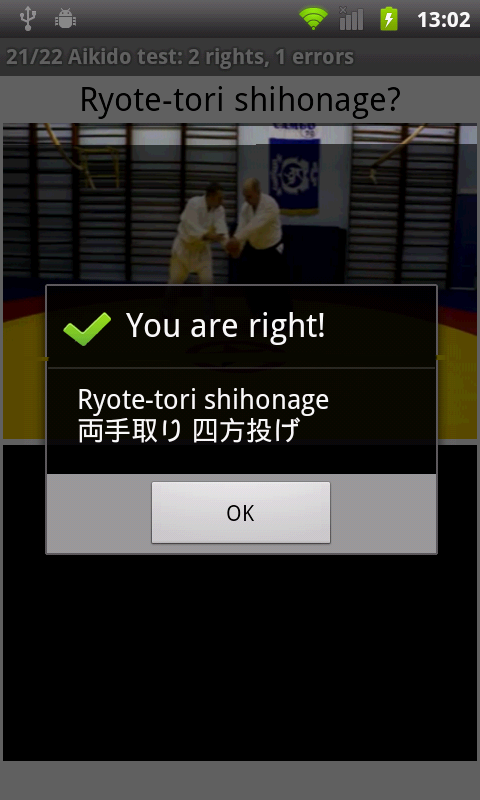 The program has list of Aikido techniques with video, some tests for your training and glossary of aikido terms. 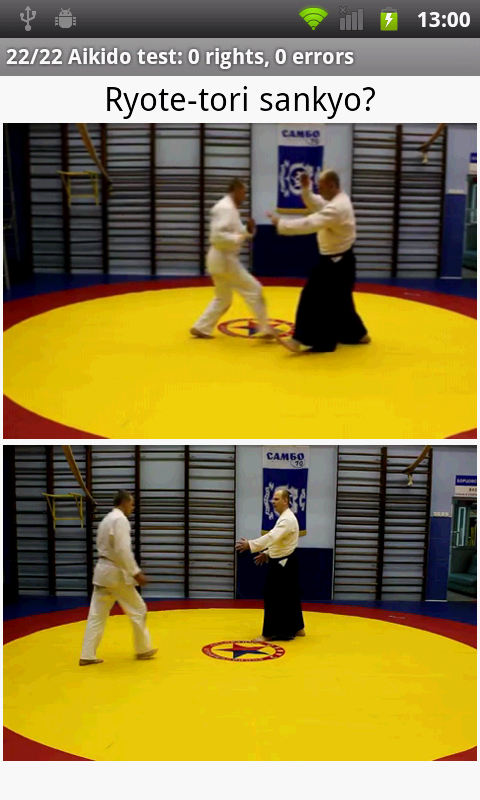 Aikido Test 5 kyu. The FREE version contains video of 12 Aikido techniques for 5 kyu and has one test. Aikido Test 4 kyu.The 4 kyu version contains video of 24 Aikido techniques for 4 kyu and has two tests. Aikido Test 2 kyu.The full version with name "2 kyu" contains a catalog of names Aikido techniques (174) and videos of many techniques (110). There are 2 type of test in this version. We will be add new video in this version. Upgrades will be free. 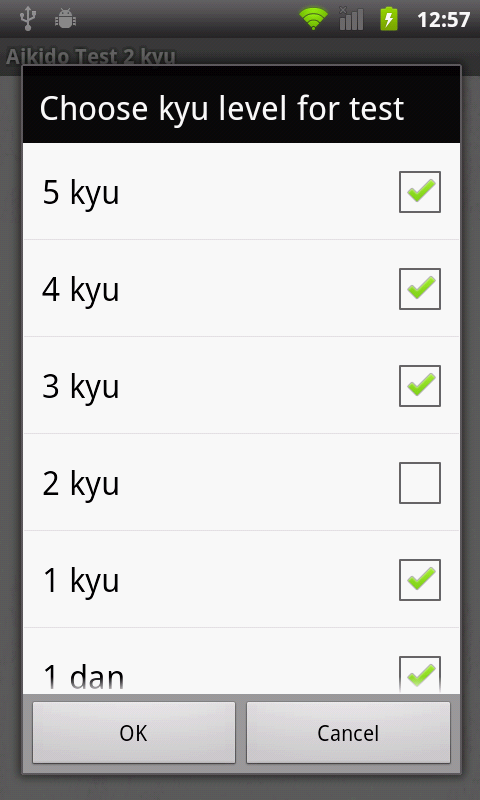 All version are available in Google Play. To view the video you do not require an Internet connection. If you go to the exam on the subway or bus, our mobile application will be with you until the start of certification. For safety reasons, do not use it while driving!